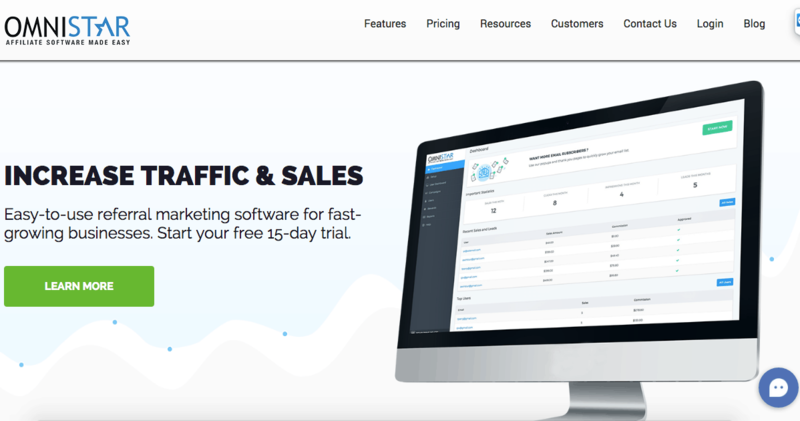 This is a marketing software that is perfectly suitable for helping an agency to make better use of their marketing leads. It has a simple interface and all the important referral marketing features that help to improve the effectiveness of marketing campaigns. OSI Affiliate can be integrated with most online platforms that are important to marketing such as Shopify, PayPal, Xcart and MailChimp. One of the best features of this agency is that agencies can white label it and make money from it. This is a useful software that is used to create dashboards and reports for both clients and internal use. Improvado can be used with all ad platforms in existence to provide real-time metrics and performance data into one convenient central dashboard. Marketing agencies can then create reports for themselves and their clients from here based on what they want to portray. This tool helps agencies to get all the information they need about many campaigns for different clients all in one place and produce easy reports for review. Installation and setup are quite easy without any technical expertise. inDinero was created to manage a marketing agency’s accounting, tax and payrolls all in one place. In fact, inDinero is well-known for providing an easy financial solution for agencies that allows a comprehensive snapshot of all financial metrics in one dashboard. It simplifies the process of bookkeeping for busy agencies and provides important tax and accounting services that ensure a company is financially healthy at all times. It provides a simple, easy-to-use interface and an intuitive solution to most financial problems. It may require some technical expertise to setup and is quite expensive for small scale enterprises. 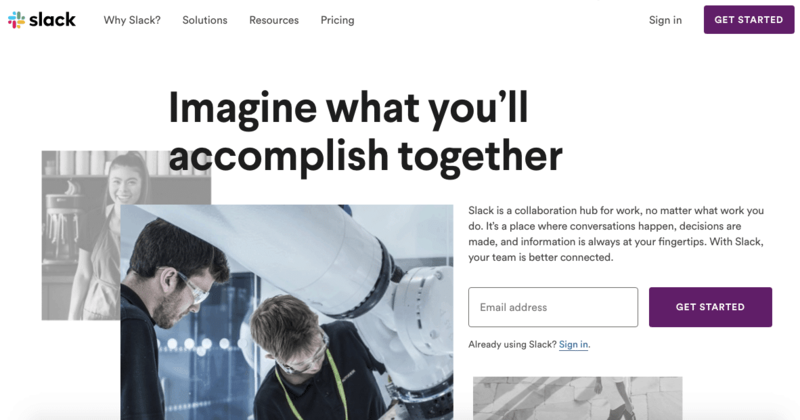 Slack is an excellent communication tool that is used to create conversation channels for teams that have their staff spread across the world. It allows users to create channels where specific conversations about a project or client can hold and be tracked. It also allows integration into many different apps to ensure that all necessary information is received and accessed by all team members. While it may take a while to get the hand of it, it is by far one of the most reliable corporate communication software a marketing agency can rely on. Working online for a small fee, Google Apps provides business applications that cover everything a business needs for productivity. 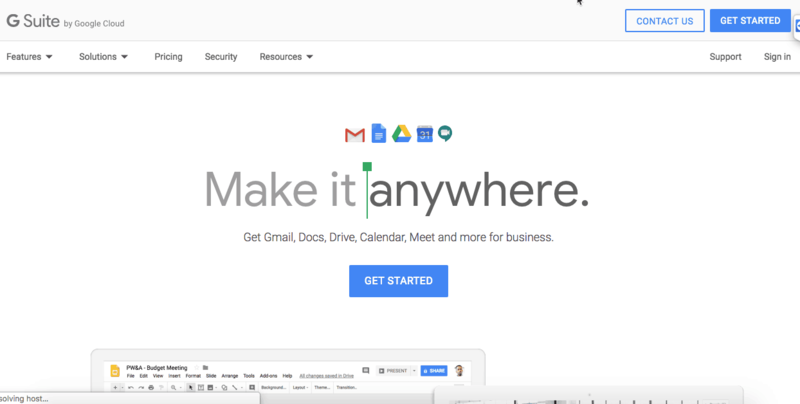 Applications in the G Suite include personalized emails, document processing apps, spreadsheet management apps, cloud file storage and so much more. Basic users can enjoy most of the features for free and share files among many users easily for real-time collaboration and sharing. You however need the internet to make it work effectively. This software is used to create interactive landing pages, graphical eBooks and infographics for clients. It works similarly to Adobe Create Suites, but it is more flexible, powerful and contains more tools to allow for truly immersive and interactive infographics. It can be used to create a wow-inducing pdf that can be clicked and explored with greater detail and flexibility. Meeting and appointment management can be crazy for a marketing agency. There is nothing worse than double booking meetings with prospects. Calendly helps to save a lot of time to look for days for meetings and phone calls. It can be synced with Google or Office 365 calendars so that prospects can easily see an agent’s meeting schedules and always book meetings in free times. This helps to reduce the amount of emails involved in finding a meeting time and place. This software is specialized in creating slick web-based proposals that can be used to lobby new clients. Instead of having to send clients outdated PowerPoint presentations, Qwilr reduces the amount of time required to create a proposal and presentation for a client and show them an interactive web page that will tell an agency’s story in a tech savvy manner that is bound to impress new clients who are looking for an innovative agency to work with. It also speeds up the process of preparing proposals and delivering to clients in the most updated form. Skype is used to create professional, high-quality video calls. Instead of looking for face-to-face meetings, clients, teams and prospects can all communicate via video and chat with minimal interruptions. 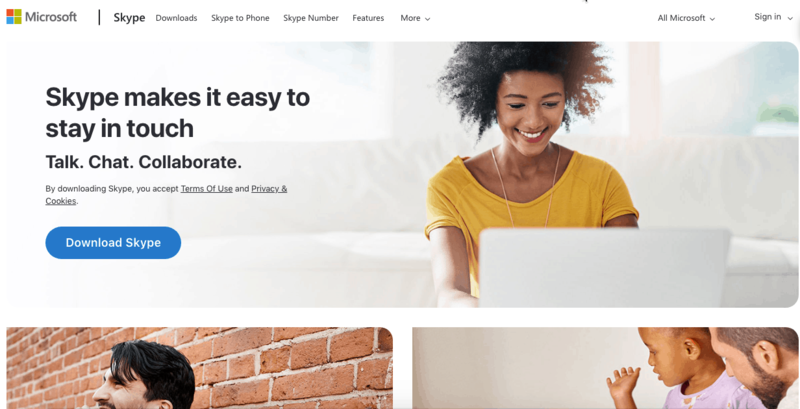 Skype also has a wide range of tools that allow document sharing, screen sharing, collaboration and other integrations that are designed to streamline the communication process and make video conferences as productive as possible. This is a proof-reading app that checks for grammar and spelling errors in any typed window on a computer. It can scan entries into a webform and documents to ensure that it is free from both basic and advanced grammatical problems. Grammarly is especially important for agencies that do a lot of writing for social media, emails, blog posts, marketing campaigns and any content. By ensuring that all content is professional and correct, a marketing agency will look more professional in all their communications which can give them the edge over others. Analytics will always be an important part of having a business online. You'll need to know where your market is coming from and what they are doing in your website. This is the only way for you to know if you need to adjust your marketing strategy. Google Analytics has been the go-to software when it comes to analytics. Not only is it free. It has all the basics of what you are looking for to analyze your traffic. With some skills, you can also customize the reports to only show the data that you need. If you are looking for something a bit more advanced, then you'll want to use Moz Pro. What makes Moz special is its ability to target keywords. If you have been doing SEO for quite some time now, you'll know that it is impossible to rank without the right set of keywords. Keywords are the lifeblood of your campaigns. They show you what you need in order to rank. For that, you'll need a research software that can crawl the Internet for the keywords that you can use. This is what Moz Pro is for. If you have always been looking for a tool that will help you look at the backlinks of a particular website, you'll find Ahrefs helpful. In fact, it is the only tool out there that is able to update you with the latest and lost backlinks that a website has. Although it comes with a fee, it is worth it. This is because the tool allows you to do so much more than just link research. It also has tools for keyword research and others. This makes it a convenient all-in-one tool for all your online research needs. It may be a little on the expensive side. But if you are in the business of marketing websites, the tool is worth every pe?nny. Social shares has become increasingly important. This is because more and more people are using social media channels in their everyday lives. However, they don't pay attention to just any piece of content. You need to know what type of content your market likes. And you'll only be able to know that with a tool like BuzzSumo. With BuzzSumo, you'll be able to know the content that gets the most shares in just about any topic. The search bar on top will reveal all the top shared stories along with who share it. This makes it easy for you to do your promotions to the people who have shared the same content. Influencer marketing has become more important than before. Back in the day, influencer marketing is optional. If you can get a huge influencer to promote you, then that's great. However, these days, it is no longer optional. In fact, you can only get a decent search engine ranking if you are promoted by an influencer. With this, you'll need a tool that will help you find all the top influencers in your niche. For that, there is buzzstream. 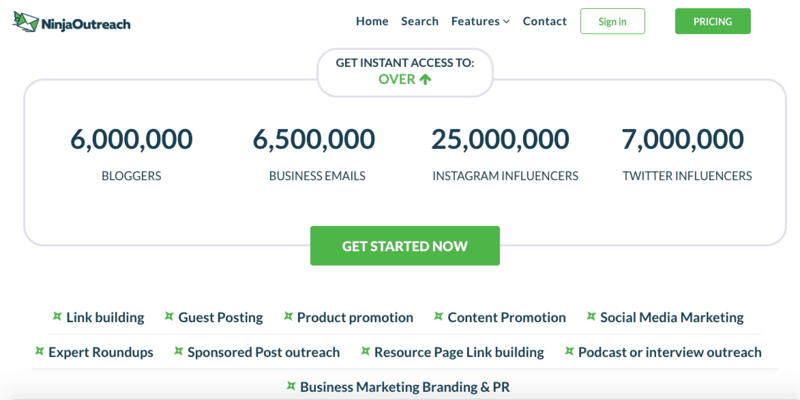 The best part is that it also helps you get the contact information of your target influencer as well as promote to them. Creating an online marketing business can be hard if you don't know where to start. Not only do you need to create a website. You also need to create different marketing systems such as landing pages and the likes. Hubspot marketing takes the guesswork out of your marketing platforms. It helps you create all the properties that you need so that you can launch your business. From landing pages to automation, Hubspot Marketing got you covered. Meetings will always be an integral part of any business. It helps you to communicate with your team as well as ensure that everything is moving forward. However, you'll need a tool so that you can properly sort your schedule. This is what Hubspot Calendar is for. It helps you synchronize your schedule to ensure that everyone is in the same page. This eliminates the need for unnecessary emails for you will be able to see everything in one convenient location. Managing your customers can be a chore. Not only do you need to keep track of their contact information, you also need to track where your customers are in the customer journey. With HubSpot CRM, you'll be able to do just that. By doing this, you can tailor your messages according to the needs of your customers. The best part is that this is free. Unlike other platforms where you have to pay a monthly fee, Hubspot offers this service for free. What makes you win a proposal? It is more than just your persuasion powers. You'll also need to know how to create beautiful proposal documents. This is what PandaDoc is for. With it, you no longer need to create your proposals from scratch. Instead, you can make use of preexisting templates in the platform. Why templates? Well, aside from the fact that it can give you an idea on what to do, it is just far better than a blank slate. Panda Docs makes it easier for you to create documents by simply answering a few simple questions. A lead magnet is now essential for every online business. This is often an ebook that is given away for free in exchange for the target's email address or contact information. However, it is no longer enough to just compile a document into a PDF and call it a lead magnet. It also needs to be visually appealing. Fortunately, there is Beacon. This tool helps you to create visually appealing ebooks and lead magnets which strengthens your brand. The best part is that you can create these magnets in a matter of minutes. Graphics will always play a vital role when it comes to social media promotion. Not only is the market visually oriented, it is even expected. Fortunately, we now have tools that you can use to create graphics in a matter of seconds. Stencil is one such tool. This allows you to create different types of social media-ready graphics with a click of a button. There are also tons of customization options so that you can create brand new graphics for your brand. Email marketing is one form of marketing that has stood the test of time. Maybe it is because people are still opening and acting on their emails. However, what works today is different from what has worked before. Today, you need to be a bit more personal. Drip knows about this and it helps you to customize the emails that you are sending depending on the characteristics of the customer. It does this by gathering information about the customer and then creating an email based on the customer's characteristics. The result is a campaign with a higher chance of conversion. 2019 is the year of video. In this year, we can expect engagements with video to increase. This is because the market is no longer contented with mere images. The market is now looking for more interactive content and video is just that. For this, you'll need a software or tool that can help you create videos easily. Loom is just that. The best part is that it helps you to create a video with more than just text.????? The agile scrum system has been a popular system among software developers. And it is not just because it is efficient, it is also cost friendly. If you are managing a software development team and you need to organize your tasks, you'll need a software such as Jira. This is the top software when it comes to organizing agile system tasks in one dashboard. Are you running an online magazine or digital agency? You may need to get content from your clients on a regular basis. For this, you can use Content Snare. With this, you can request and track content from your clients and you'll get to see everything in one convenient dashboard. Content marketing has become more important than before. The need for content has increased over time. It is no longer enough to just have a website. Your audience now needs a website with updated content. Content Snare can help you enlist the help of your clients so that you can get a regular stream of content for your site. If you are still writing your emails the traditional way, you are clearly missing out. You see, it is no longer enough to write text-based emails. That is so old school. Today, it is about creating custom images and messages to get the attention of your customer. This is what Lemlist is here to help you. It helps you create attention-grabbing messages that will leave your market begging for more. Webinars are now being used for more than teaching. In fact, it is a very effective marketing tool. I have seen businesses created just from webinars. Now, there are many ways you can use this. You can use it to teach your customers how to use your website or your products and services. You can also use it to personally assist your clients. Or you can use it to create a new business from the ground up. This supports all of your needs for hosting a webinar in one convenient tool. Chatbots are now dominating the marketing scene. Not only do they convert well, they are also not as exploited compared to other marketing tools. 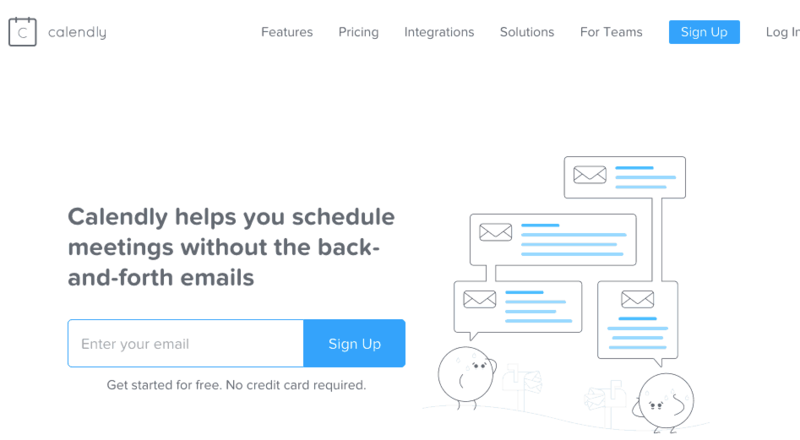 Funneldash combines the power of chatbots with funnels. And the result is one amazing system that is able to convert cold customers into sales. Now if you are wondering how you can refine your marketing systems, this is it. With funnel dash, you can now start and scale your startup faster than ever before. Email marketing still works but only if you are sensitive to the needs of your audience. It is not enough to merely send an email. You need to know when and how often you should send one. Seventh Sense takes the guesswork out of the picture by creating data out of your subscribers' behavior. From here, it creates its own data on when to send emails. The best part is that everything is automated for you. This way, you can change the time depending on who you are talking to. The result of marketing is way will surprise you. A little sensitivity goes a long way. In fact, you'll be surprised to see your conversions shooting through the roof. Influencer marketing should be an integral part of your marketing system. If not, now is the perfect time to start. You are lucky that there are tools like Ninja Outreach that can help you. These tools will help you store the contact information of your target influencers so that you can reach out to them when needed. There are also some premade email templates that you can use. These are the templates that have worked for marketers in the past and it can work for you too. From here, all you need to do is test these templates to see the ones that will work well for you. In influencer marketing, it is all a numbers game. You need to pitch to as many influencers as you can possibly can. Ninja Outreach helps you to streamline this process so that you can see the communication progress in one dashboard. So that ends our list. What do you want to try first? Remember, it is all about choosing a tool that is compatible with your existing processes. Don’t adopt a tool just for the sake of adopting. Look at your existing processes and look for a tool that can go with that. This way, a tool helps rather than hinder your process. 5 Response to "10 Best Marketing Agency Software"
Your content is really nice, I have been reading your blog since last year. Nice article you got. It has all the important info. Finally, I wont have to go to every website anymore.